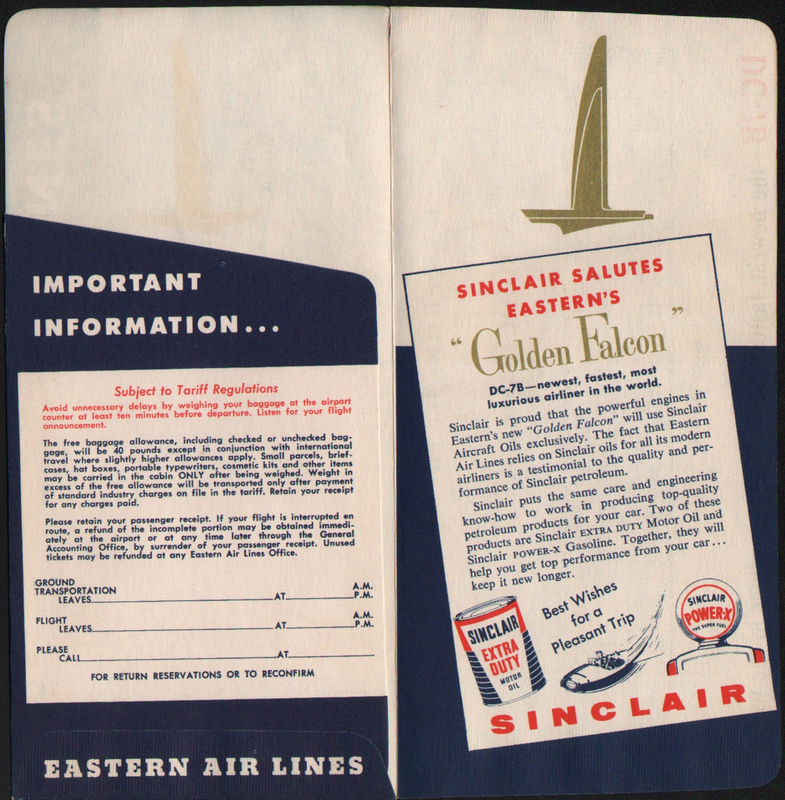 Description Eastern Air Lines (Airlines) (EAL) Red, White, Blue and Gold Ticket Envelope (sometimes called Ticket Jackets by the airlines). Promoting the new DC-7B Golden Falcon service. Front cover has a great rendering of a DC-7B and the back cover shows the seating chart. Inside is a Sinclair Oil advertisement and Tariff information. Since the DC-7B joined the fleet in 1953, this envelope would date to that era.